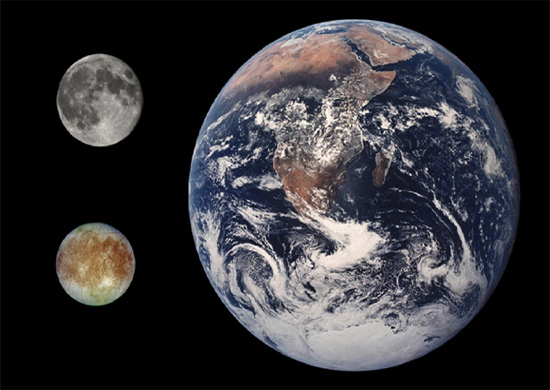 Jupiter’s moon Europa (bottom left) compared to Earth and the Moon. Could an ocean of liquid water exist on Europa? According to a recent press release, “Sending a submarine to the bottom of the ocean on Jupiter’s icy moon Europa is the most exciting potential mission in planetary science…” Is it a forlorn hope? Europa is the fourth largest moon of Jupiter, with a diameter of 3122 kilometers. For comparison, as shown above, Earth’s Moon is 3476 kilometers in diameter. When Voyager 1 flew by Europa in March 1979, followed by Voyager 2 in July, mission specialists were surprised to see a moon that appeared to be covered with water ice. The lack of craters was also surprising, as were the sinuous channels, called “flexi,” that wound for thousands of kilometers in cycloid patterns. 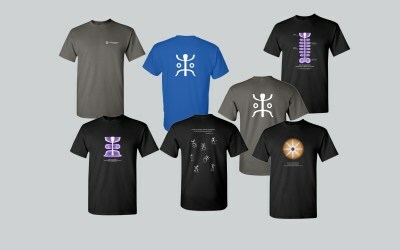 All of those formations have yet to be explained in conventional terms. 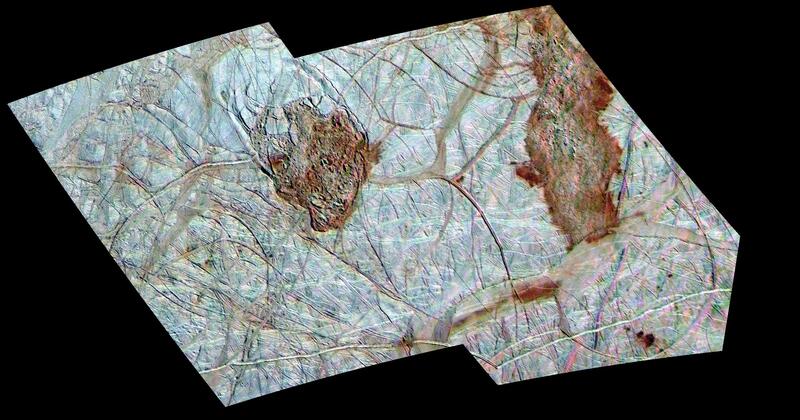 Past press releases have suggested that there are lakes of fresh water on Europa, just above a salty ocean. Conventional theories, based on computer simulations, propose a multi-kilometer deep shell of ice floating on top of the sub-Europan sea. 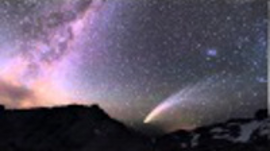 The surface is “decoupled” from the ocean, meaning that it floats freely. The ice undergoes periodic deformation, creating stress fractures and gigantic ice rafts. 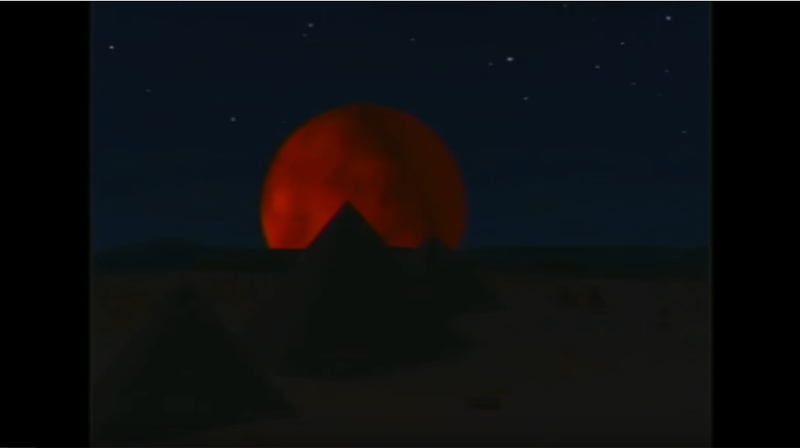 The vast floating bergs are thought to crash into each other because heat from the moon’s interior disturbs their motion. 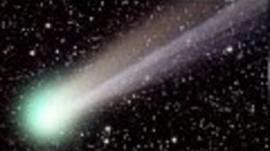 Consensus opinions state that Europa’s heat comes from gravity. Jupiter is said to tidally “knead” the moon in its orbit, creating so much internal friction that it melts the subsurface ice. 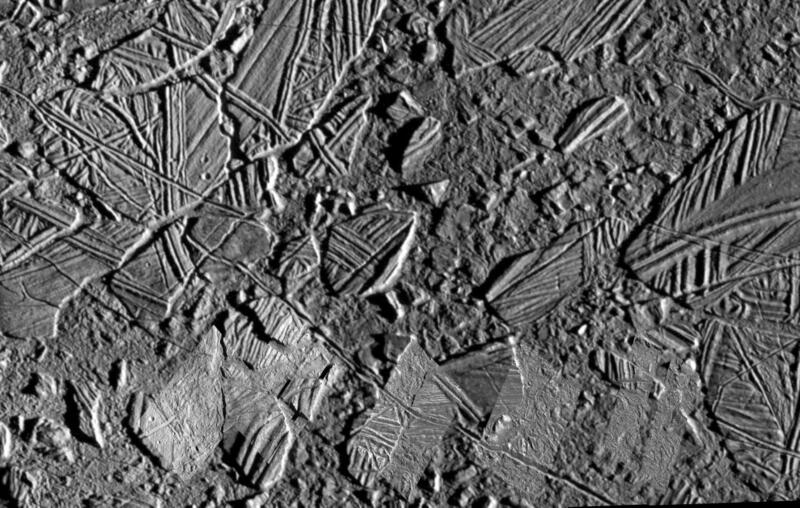 Along with the putative ice rafts, there are chaotic regions on Europa: complexes ofshattered ice that are oriented every which way. Parallel, dual-ridge trenches are also there, but with no indication of fracturing. Does breaking ice over and over again produce extensive parallel grooves with what appear to be levees separating them from each other? 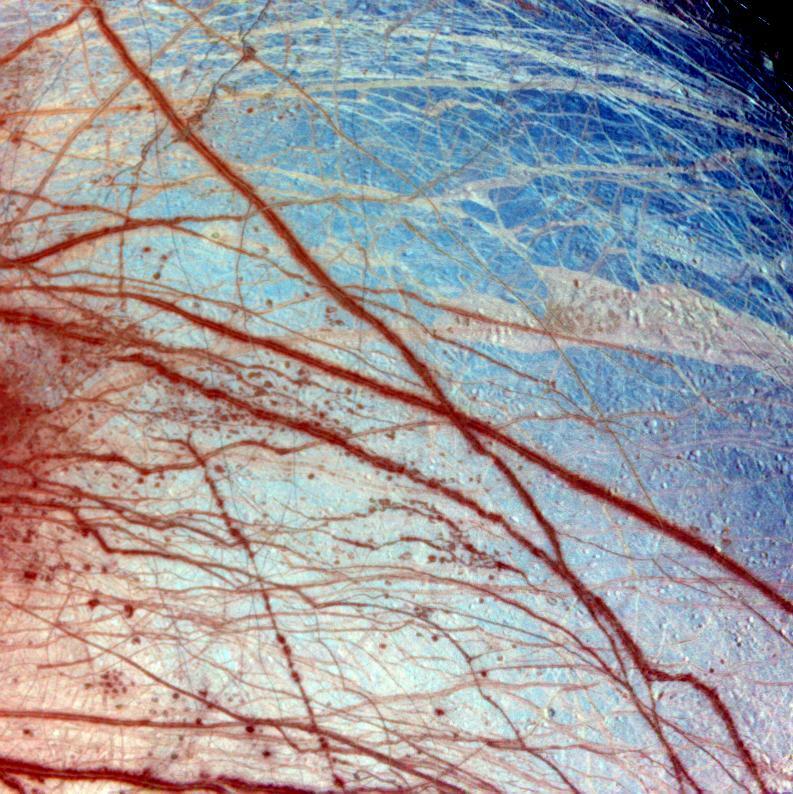 The official explanation is that Europa is repeatedly “cracking apart,” although high resolution images contradict that assumption. The large stria are smooth, with an almost constant width, sometimes extending for a thousand kilometers or more. In many places along the small swathes there is evidence for erasure and blurring of terrain caused by the larger swathes, not cracking, eruption and freezing. 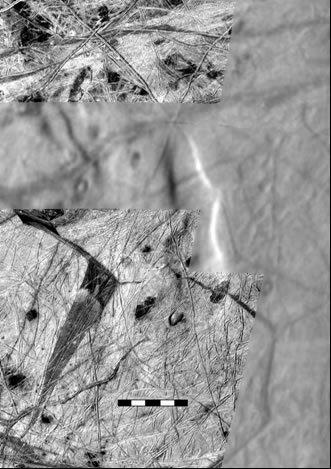 The giant black swathes on Europa reveal their braided shapes. There is an impression that a cylindrical column of helical filaments branded them into the surface. 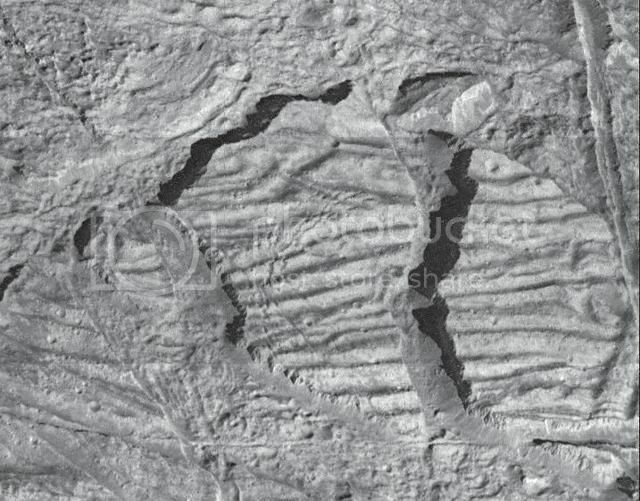 The scorched bands form parallelograms that in some cases are 50 kilometers long and 20 kilometers wide. Most of the contours along the perimeter in those features have been contorted and overlaid with others of similar nature. 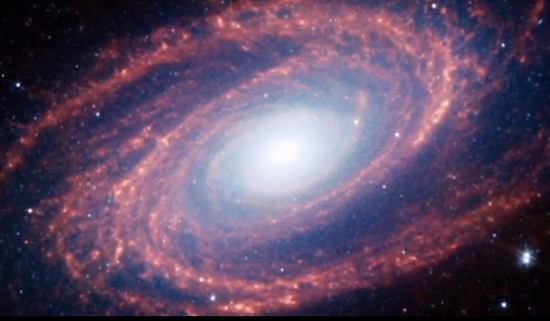 In an Electric Universe, such features are not surprising. 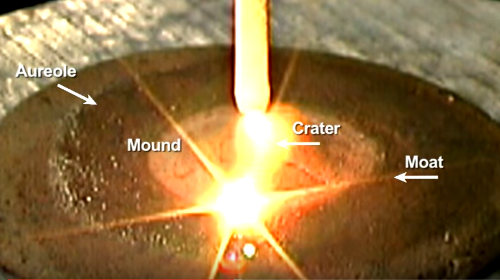 An electric arc, flowing across the surface, can be “pinched” by its magnetic field into a thin filament that draws other filaments into parallel alignment. 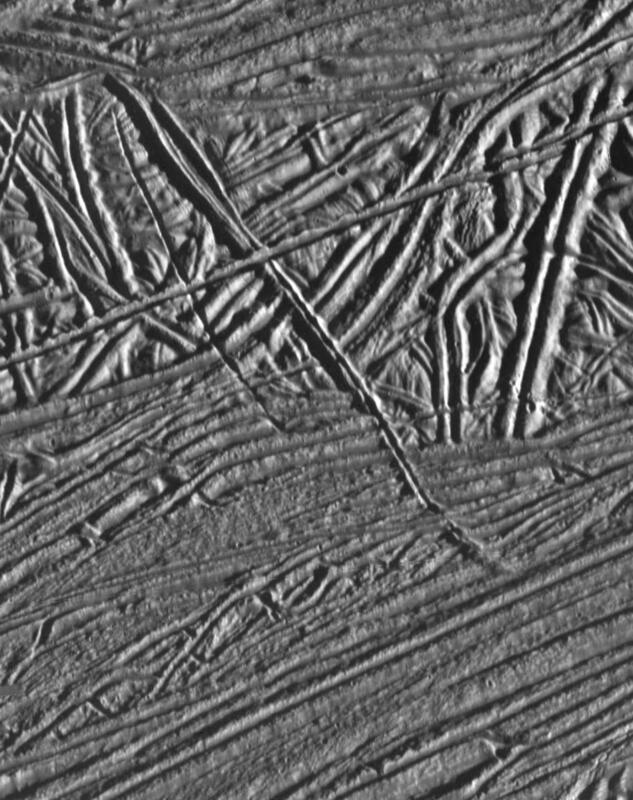 Europa’s rilles have no analog to ice cracks on Earth. Ice breaks chaotically, so variations in thickness and composition that repeat over long distances should not be expected. Yet, repetitive patterns are observed on Europa. The swirls and loops that cover the moon have been duplicated in the laboratory using plasma discharge equipment. 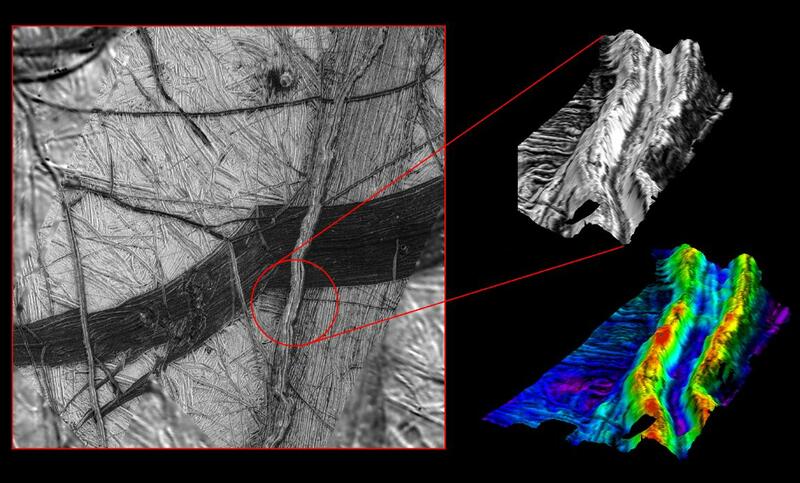 Computer simulations that rely on tides, interior heating, or other routine, Earth-like phenomena are not taking into account the most powerful force in nature: electricity. 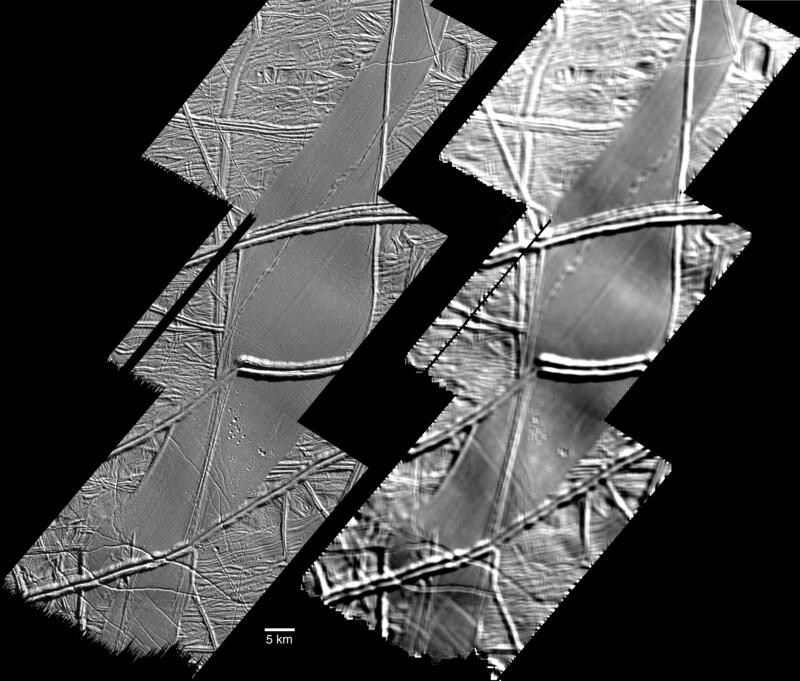 Europa’s liquid ocean is most likely a data modeling illusion.